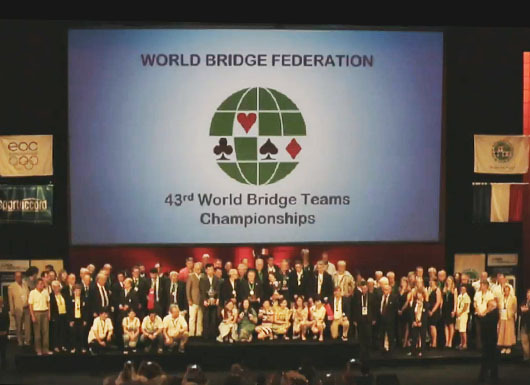 The 43rd World Bridge Team Championships and the 11th FunBridge World Transnational Open Teams ended tonight. The two events were held at La Cité Internationale de Lyon from August 12th (World Team Championships) and August 21st (World Transnational Open Teams) to August 26th. Catherine Draper, Yan Huang, Martin Fleisher and Thomas Bessis became World Grand Masters.